Tobia ben Eliezer Foà came from a Jewish family from Sabbioneta, where he established a printing press specializing in Hebrew books. 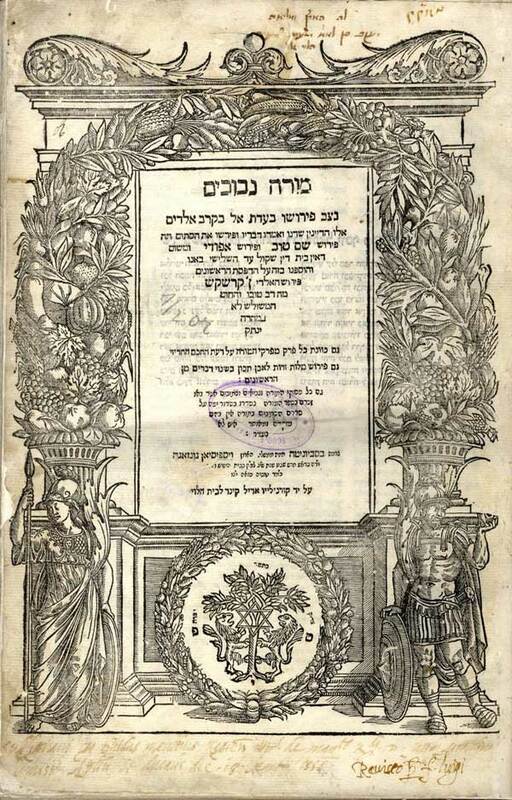 The Foà printers operated in Sabbioneta from 1551 to 1559, where they produced very important volumes and 26 books, including the first printed edition of Isaac Abrabanel’s work Mirkevet Ha’ Mishnah, parts of the Mishnah, Talmud and Hoshen Mishpat section of the Tur composed by Ya’akov ben Asher of Cologne in 1270. However, due to censorship, the press was closed for Jewish printing and, in 1567, was taken over by a gentile printer Vicenzo Conti. Tobias started the fashion of printing special copies, often on parchment, for wealthy patrons. The printshop was located in the area surrounding the castle and, like many smaller presses established at the time, was probably prompted by the need to satisfy the large demand of book in Hebrew; a demand that Venice could not absorb alone. Moreover, the Foà press flourished during the years (1553 to 1563) in which the controversy between the Venetian printers Giustiniani and Bragadin had caused suspension of Hebrew printing in the city. Tobia Foà hired Joseph ben Jacob Ashkenazi for the printshop, as well as print masters from Venice. Among other first editions, Foà printed Isaac Abravanel’s commentary to the Torah, Isaac Arama’s preface to Chazùt Kashe, as well as a version of Pirkei Avot with a commentary. Among Foà’s employees were Jacob Coen di Gazzuolo, who later worked in Mantua, printing nearly 30 editions in partnership with Meir lo Scriba. In addition, two Christian print masters from Switzerland with knowledge of Latin and Greek worked at the press in Sabbioneta: Gaspare Griffi and Rodolfo di Zurigo. The Foà had two seals that appear on the frontispiece of their editions. One is palm sided by lions and crowned with a David Star and foliage. Three letters make up the acronym for “Tobia Foà Yehudi,” followed by the motto “The righteous will flourish like the palm tree”. 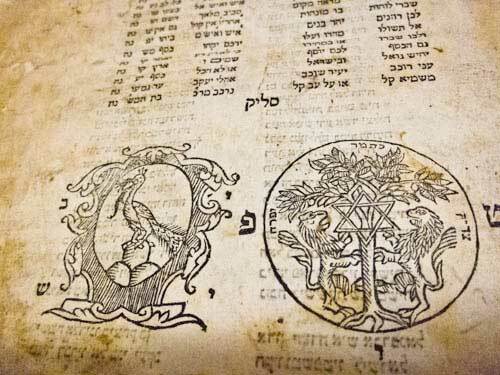 From 1552 to 1554, Foà hired the famous print master Cornelius Israel-Adel Kind, who had worked in Venice acquiring the reputation of one of the finest experts of Hebrew printing of his times. Many editions were printed during these years, including a Talmudic compendium in three volumes by Isaac Alfas, which was beautifully printed and had a preface by the Piedmontese sage Joshua Boaz de Benedetti. This edition, also called Talmud Katan (“Little Talmud”) became popular among Italian Jews and was one of the few sources of talmudic knowledge during the many centuries of censorship of the Talmud. After Adel-Kind’s conversion to Christianity, Foà dismissed him from Sabbioneta and he was replaced by his own son, Mordechai Eliezer Foa. Additional printers were hired ad hoc. This was the case of Vincenzo Conti, who had a press in Cremona and, in 1556, printed for Foà the Sefer minhaghim, or Book of Rites, by Jacob Levita Moellim. 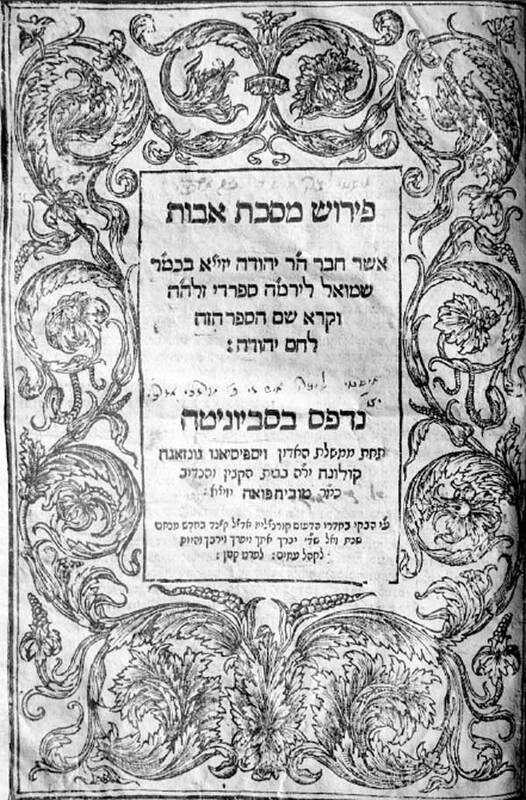 A 1558 edition of the Song of Solomon, printed by Foà, has a commentary by Raffaele Treves, rabbi Sabbioneta, whose Hebrew poem was published along with the Moreh nevuchim (Guide of the Perplexed) in 1553 . The Foà press in Sabbioneta stopped in 1559. It is probable that the press faced crisis after Tobias Foa’s death. Censorship became more aggressive with public burnings of the Talmud in nearby Cremona, whose diocese controlled Sabbioneta. The last Foà books were completed elsewhere, in Mantua and Venice. They included commentaries by Obadiah Bertinoro and a Machzor of German Jewish rite. Members of the Foà family also had printing presses in Venice and Padua, where Joseph Foà printed Leone da Modena’s Galut Yehudah. 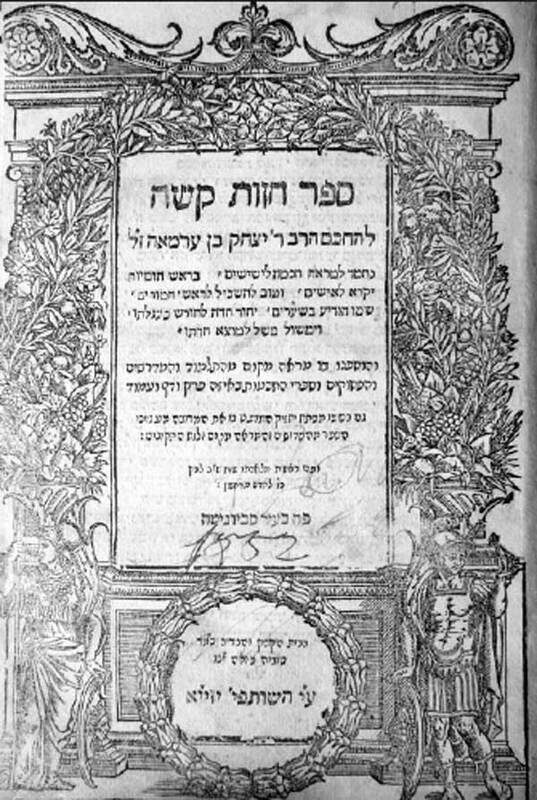 Isaac ben Gad (b. c. 1700), physician and one of the leaders of the Venice Jewish community, ventured into Hebrew printing about the time of the birth of his son Gad (1730–1811) and produced mainly liturgical items until 1739. From 1741, Isaac was in the book trade proper. In 1742, he entered into partnership with his kinsman Samuel, who was also father of a son Gad, the two Gads later taking over the business. Gad b. Samuel appears as the sole printer between 1775 and 1778; he moved to Pisa in 1796, producing 13 books at his own press or at that of David Cesena. His last major production, in association with Eliezer Saadun, was a handsome Hebrew Bible of 1803. Gad b. Isaac resumed printing in Venice in 1792 until 1809. Among the few major works produced by the Foàs of Venice are the first four volumes of Isaac Lampronti’s talmudic encyclopedia Pahad Yizḥak.